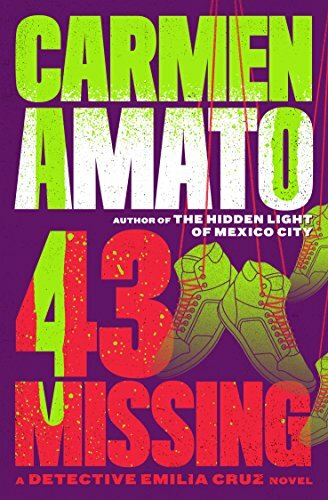 Carmen Amato is the author of the Emilia Cruz mystery series set in Acapulco with the latest book 43 Missing, a book which is based on the true story of 43 students who went missing and have never been found. The author has also written a standalone thriller novel called The Hidden Lights of Mexico City. Here are the Carmen Amato books in proper reading order for her Emilia Cruz series and any other books the author will be writing in the future. Of an Italian descent, the author Carmen Amato is originally from New York. Sheo went to college both in New York and in Paris. She got her Masters in International Relations from the University of Virginia soon after. Carmen loves to travel and has been in lots of places all over the world – always traveling with her Furla handbag. So far she has traveled to more than 30 countries over the year. I enjoyed reading from her bio on her webpage about her family tree, which includes a criminal (her great-grandfather) who has never been brought to justice. No wonder Carmen is writing crime fiction! 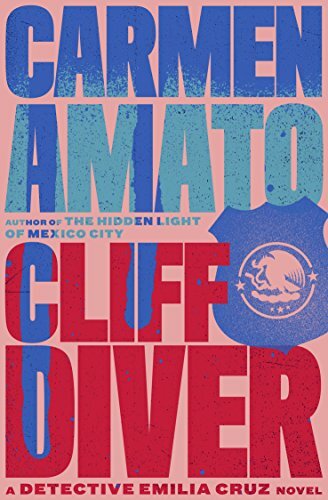 Her popular mystery series starting with Cliff Diver features Emilia Cruz, a tough yet very feminine detective living and working in Acapulco. She is the first and only female detective, a fact that gives her grief every single day from her colleagues at work. Despite it all, she is a great character that I strongly admire and like. Some of the cases Emilia works on are taken straight from Mexico’s newspaper headlines. There is so much violence in the country each day that the author Carmen Amato doesn’t really need to make up any of her plotlines. Emilia is a tough and honest cop, one who can never be sure whom she can trust each day. Police are corrupted just like everyone else in powerful positions, so doing her work is quite tough and the pressure from above is hard too. Her male peers also don’t take Emilia all that seriously, something that she has to fight hard against. It seems that this aspect of the book also comes from the author noticing a strong difference in the way female workers are treated and are paid compared to the men in the country. The Carmen Amato Emilia Cruz series has been optioned for TV.